A San Luis Potosi based in Arena Coliseo San Luis Potosi. 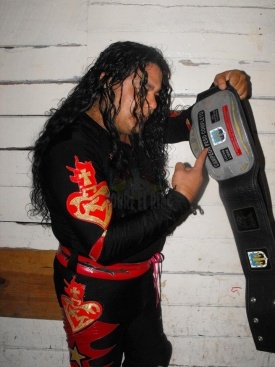 Has been around since at least 2004, mostly as a tecnico, and has worked dark matches on AAA TV shows in the area. Won a disputed DF Heavyweight Championship in 2013. This page was last edited on 7 February 2013, at 12:50.